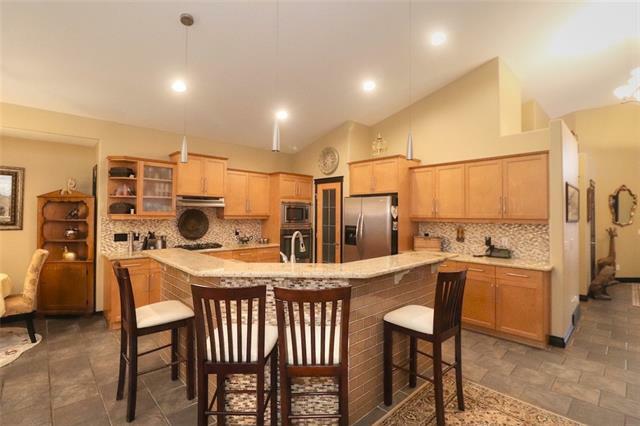 DESCRIPTION This beautiful custom home backs onto path/park in Evergreen Estates. Excellent floor plan with attention to detail. Large flex room could be dining, living room or den. Spacious great room with fireplace and feature windows. Generous nook and gourmet kitchen. Granite counters, large island, upgraded appliances. Den off kitchen opens up to laundry and pantry. Back hall walk-in closet is a plus. The staircase is a spectacular feature of this home with separate landings on each level. The Master bedroom has a fireplace and a lovely ensuite with separate shower. 3 additional bedrooms upstairs. Basement features exercise room that could be a bedroom if needed. bedroom, bathroom and large family room with lots of light from walk out basement. A built-in bar completes this functional space. Fish Creek Park is close and this home is situated on a quiet street. Tv's in master bedroom and living room included. Infrared sauna included. The washer and dryer are newer. Home for sale at 88 Evergreen Ln Sw Calgary, Alberts T2Y 3T8. 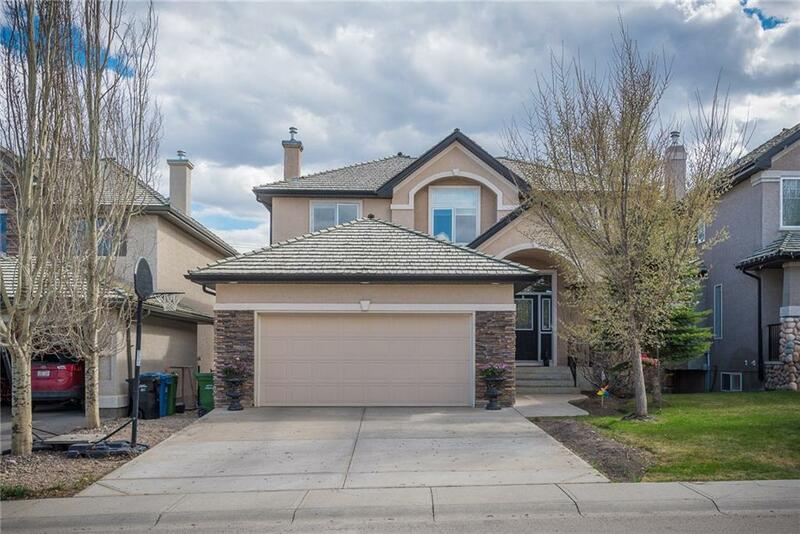 Description: The home at 88 Evergreen Ln Sw Calgary, Alberta T2Y 3T8 with the MLS® Number C4214421 is currently listed at $719,900.